Happy Author Appreciation Day! Author Appreciation Day is about taking the time to spread the word and write reviews for books we read and enjoy. In my experience, the best marketing tool for an author really is just word-of-mouth, and I promise that authors (especially new and independent authors) really, really, really appreciate your reviews. 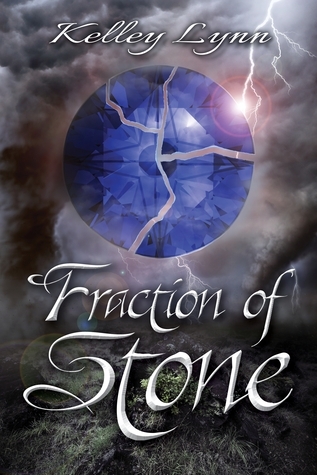 Today I am proud to feature my review for Fraction of Stone by Kelley Lynn. Akara and Ryden are the only two of a kind, the only two that in the world that can wield magic. However, they're stuck on two sides of a war, each used as a weapon against the other. Ryden is treated like a prince by his people, whereas Akara is abused and kept as a slave. When the war ends and the two sides unite, neither side has use for magic anymore, and the two magical teens are nothing but threat. Akara and Ryden must join together to escape a nation of people who wish to destroy them. Meanwhile, the world is literally breaking apart, and only Akara and Ryden have the magic needed to save the people who want them dead. Fraction of Stone is extremely easy to get engrossed in. The pace is lightning-quick, and she flies right into the conflict without hesitation. The structure of the plot is strong - two teens against the world with everything stacked against them, makes for high stakes and a perfect YA story. You can't help but root for them. Poor Akara has been so mistreated, she doesn't even understand what it means to be touched outside of abuse. You desperately want her to find hope again and safety with Rydan. And even though Rydan had a more privileged past, he is a classic hero. He wants to help save the world, and Akara, because it's the right thing to do. And though he wasn't abused, as the only one of his kind, there is a loneliness about him, and you really want him to find his other in Akara. Check out the other reviews in the hop! I feel SO honored! Thank you for reviewing my work on author appreciation day!!! Thanks for joining the blog hop! This book sounds great! Thanks for letting me know about it .